El nino is making this fall/winter transition a warm one so far! I think I plowed us out a few times by this time in 2014. In 2015 we’ve only seen a single dusting of snow. So we’ve had nice warm 50 degree days followed by freezing nights. Shed the jacket to run errands and burn a fire in the evening; very nice! Unfortunately it means our yard receives a frost each night with a significant thaw during the day. That makes the yard super mushy where any yard work becomes more harmful than good. Not to be stopped I’ve just concentrated on interior projects. Beefing up the Home Network has been November/December 2015’s big project. We have a 150Mbps connection with Comcast. It is the fastest connection we can buy before having to register our house as a business. We have two other ISP options, and both are no-goes for me because the fastest option is 10Mbps through a satellite. It is tough to be on the peak of technology living in Vermont, so no matter what anyone else thinks of them I have to drink heavy servings of Comcast koolaid. The previous owners of our house weren’t into technology like we are, so the house is wired for telephones and cable TV. It is abundantly wired to the point where we could plug 2 TVs and 4 telephones into each room! I guess that works in a wired world where one might rearrange the furniture often. The good news for us is the abundance of phone jacks makes things a little easier for an electrician to fish ethernet cords and convert the phone jacks to ethernet ports. That’s precisely what has been happening over the weekend and now into this evening. I didn’t trust myself to do a professional install of a fairly sophisticated wiring job across 4,000 square feet of house, so I hired Peck Electric after talking to the head of IT at Dealer.com. So far, Brett (our installer) has been fantastic and has been working odd hours to work around us! When setting up a wired network a lot of planning and forward thought needs to be given to the cable routing. We have plans to relocate the office and create a server station while also doing some basic livability additions in roughly 1,000 square feet of unfinished space. This means we need powerful cabling into the current office (future guest room) and something ready to go in the future space. We’re lucky that we already have the “bones” of the future space to work in! 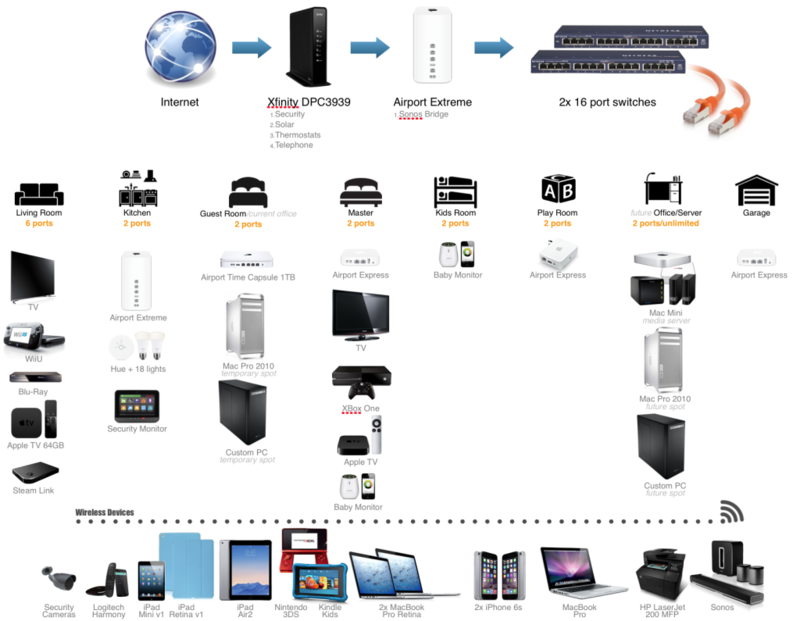 Blueprint for our home network based on today’s devices. As you can see from the diagram we have a lot going on for a three-person household. Each of us utilize at least three devices on a daily basis and then we have things like our lights and Apple TVs that the entire family uses. Where things get really complicated is in the security systems (yes plural) because they’re on two different setups. I only mentioned the monitoring of the live cameras within the diagram and have purposely left the other pieces off this diagram. When thinking about things one needs to consider the breadth of bandwidth moving across the lines with at least 5 years of future-proofing. I think you’re silly if you believe you can plan for technology advances, but I think you can assume it takes 3-5 years before the bleeding edge is available in your house and maybe another 2 years before it gets to Vermont. For our needs, I believe we will benefit greatly from being able to transfer files around 300Mbps today. This allows me headroom to maintain a NAS storage server for my photo editing at 10x the speed of the USB/Firewire connections I’ve been using on my backup Drobo. Unfortunately I’ll still be bottlenecked by the 5,400 RPM hard drives I’m using in the storage box, but I have the head room! And 300Mbps allows for the same storage server to be used as a Plex Media Server streaming Blu-Ray quality content from one end of the house to the other. 300Mbps isn’t our goal; it is our minimum. You’re probably scratching your head if you don’t fully understand this stuff because you may recall our Internet connection’s download speed is only 150Mbps. Why a minimum of 300Mbps? Overhead for the future of course. By using Cat6 ethernet cabling and Gigabit switches we have the capability of seeing triple the speed we’d love to have today. Metaphorically speaking this means the wiring in our house has a speed limit of 500 MPH while our cars are cruising at 55 MPH on it with the capability of hitting a 200 MPH top speed. In plain terms our network cables aren’t slowing us down; our computers are. And that’s how I like it! We have not finished the laying out of cables yet, so I cannot speak to the speed of the network in reality. So far I’ve been talking about things “on paper, ” but I believe my expectations are low assuming our electrician (Brett) lays the cable out nicely. The other thing Brett needs to know is where to terminate the cables. This is where a lot of forethought into how you plan to utilize technology in the house needs to be done. Where do you want wired devices and where will the most future need be? We knew we’d always have streaming devices around the living room TV, so having extra ethernet ports there was necessary. We are also using the most wireless devices around the kitchen/living room area because that’s the most open part of the house. There are two excellent spots in the kitchen for placing a wireless access point. And then the future office is another critical spot because that’s going to need flexibility. My office is where our technology peak exists. Power flickers can happen as much as 3 times a week and as little as every other month dependent upon squirrel activity down the street (yes, this is what the power company told us). And we’re the only house complaining about it probably because our neighbors’ only hassle is in resetting a clock from time to time. For us, it knocks our Internet connection offline and the restart seems to degrade our wifi bandwidth dependent upon which wifi point fires back up first….or maybe it is something else. All I know is the clocks are blinking and sometimes we don’t have Internet in the living room, kitchen, and other places. That also means our Hue lights and Sonos systems could need some rebooting help. I think the bulk of my research time was spent looking into Ubiquiti router and access point options sprinkled with a little APC vs. CyberPower debate. Fortunately Peck Electric made the decision of Cat6 vs. Cat7 pretty easy ($$$) and Comcast has zero plans to move to a fiber connection around these parts. That only left networking hardware. Making the connections are your basic Netgear GS116NA 16 port Gigabit switches. I went with these unmanaged switches because I’ve had good experiences with blue Netgear switches in the past and they’re pretty easy to source from the Staples and Best Buy 10 minutes down the road. I went with two because we’re hooking up somewhere between 18 and 24 ethernet ports in the house and the 24 port Netgear switch isn’t available on shelves locally. This ain’t a business, so it didn’t seem switch selection was super critical. So, why didn’t I chose an Ubiquiti solution over the Apple routers shown in our network plan? I did a ton of research into Ubiquiti vs. Apple and believe there are two main differences: 1) ease of basic uses and 2) price. 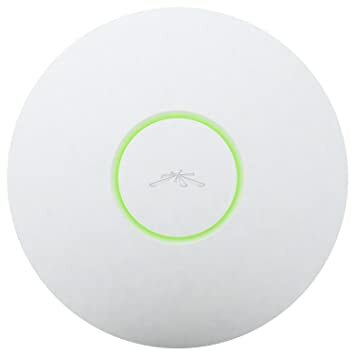 Hearing the combination of Ubiquiti’s Edgerouter or Lite mixed with their Unifi line of wifi access points is today’s best solution for the more advanced home network I was intrigued. I generally begin my research with Amazon product reviews and all of them said the configuration was not for someone who didn’t want to roll his shirt sleeves up and get dirty. I watched some setup videos on Youtube and knew I could handle it, but certainly understood where these reviews were coming from. There is no way I would recommend a Ubiquiti network to my parents! The price of the Ubiquiti hardware is, in my opinion, a fantastic value. $50 for the best-rated router on the consumer market and $60 to $200 for access points that extend out to 600 feet is amazing! I can’t remember the last time I spent less than $150 per network component (maybe an old Airport Express). So, if complexity isn’t scary and the price is right why am I sticking with Apple? The one thing that killed Ubiquiti for me is no wireless AC capability without getting into some serious money and losing their zero handoff feature. The AC-capable access points are $500 each and if you walk from one wifi zone to another the signal will reset. That means you could be on a VOIP call (we have AT&T cell phones that do wifi calling) or Facetime and drop the call just for pacing around the house. I also like to walk around with my laptop or iPad streaming a show or video and that could be interrupted. This was a show stopper for me. Especially if I was going to get into Ubiquiti for thousands instead of hundreds. And speaking of monetary investment, I already have the necessary Apple hardware to make a decent wifi network. The current Airport Extreme is AC-capable and I definitely want that in our living room area. 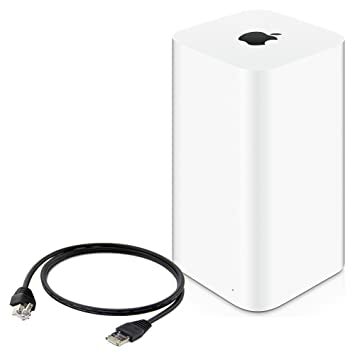 Technically we should be just fine with wireless N being plenty, but I did notice a nice jump in speeds when switching from the older Apple Timecapsule (N being its fastest) to the Airport Extreme. Range jumped too! And the bulk of our devices are Apple so why not keep the simplified setup. The downside to Apple’s system is Airport Utility because they dumbed it down so much in Version 6. You can’t check logs nor truly diagnose coverage issues. I’ve had to employ other tools for looking into where the wifi is best. Fortunately Comcast’s (or Cisco’s) logging isn’t terrible in the cable modem. My first look was into one of those obnoxiously large APC power strips until I learned that you actually have to flip those on to take advantage of the battery. They also don’t make those at a size that would support my two 1,000-1,200 watt-max desktops plus their power-hungry-giant monitors. I figured I needed a battery backup with at least 800 watt capabilities. Why 800 when I could have loads over 2,000 watts? When I have both computers on each one is cruising between 300 and 400 watts. I’ve never seen one spike over 800 watts (even with multiple graphics cards and overclocking) and I can’t imagine any activity where I can physically move fast enough to have both computers spiking at the same time. I’d have to be playing a seriously intense game on the PC while doing some incredibly intense video editing on the Mac….just ain’t gonna happen. APC prices are pretty high. The consumer reviews are high and low which is to be expected from the leader in UPS sales volume. But what sold me on CyberPower wasn’t the lower prices; it was the higher customer satisfaction their reviewers seemed to have. Many of whom were IT experts who utilize significant APC systems for their work and CyberPower products at home. So I have two CyberPower 1500va’s rated for 900 watts and I will probably get a third. At the moment a single CyberPower 1500va is sitting between both of my heavy duty desktops and the wall outlet. According to the 1500va, under normal load, it can keep both machines powered for roughly 20 minutes. Under heavy load that drops to 10 minutes. I have yet to see what it says when both machines are in sleep mode, but I don’t care if the power flickers then because I wouldn’t need to save any work….already would have! The other 1500va will provide battery backup to our cable modem, connected router, and connected telephone. I haven’t decided if there is really a need to plug the Mac Mini server into a battery backup slot yet, but the surge outlets will definitely host it and its external hard drives. If I add a significant NAS storage unit I will probably battery back that up. It is hard for me to imagine working a RAW photo straight off the external storage devices when I have a RAID 10 configuration with 6TBs of useable space inside the Mac Pro. Within the next week I’ll have shelving in place for a Mac Mini server along with spots for switches and the necessary router with its battery backup. I’m looking forward to writing about the build of the floating shelves with a follow-up article on the server setup itself. Assuming all goes to plan this entire project should take two weeks. Once complete I will elaborate on the costs too. Hopefully we will have accomplished all the goals and have some new ways to enjoy digital content throughout the house.